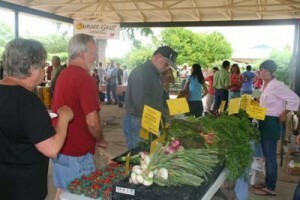 Fredericksburg Farmers Market runs through August at Marktplatz. Bountiful fresh produce, including strawberries, will be available for sale! The market also features Artisan breads, award-winning goat cheese, grass-fed meats, free-range chicken and farm fresh eggs. Wines from local wineries are available by the glass or bottle.